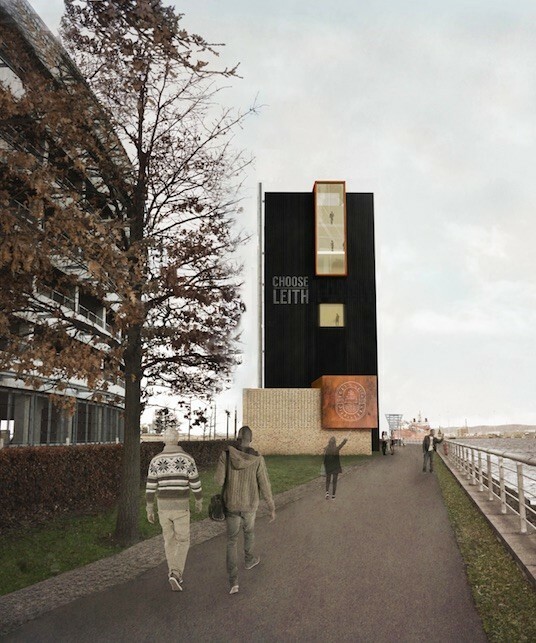 Threesixty Architecture and Muckle Brig have submitted plans for a purpose-built single malt distillery at Port of Leith, Edinburgh, next door to the Ocean Terminal shopping centre and Royal Yacht Britannia. 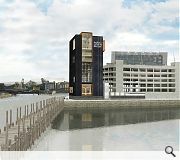 Intended to convey an exciting and modern image for the Scotch whisky industry through conception of a vertical production process capable of producing 400,000 litres of pure alcohol by using the adjacent harbour as a heat sink, significantly reducing the volume of water required in the production process. 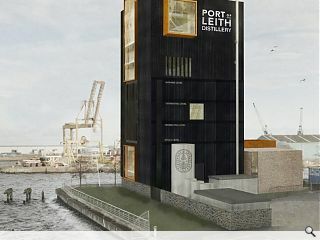 In a statement the architects wrote: “The vertical, gravity-led design provides an opportunity for visitors to experience a distillery like never before, getting as close to the production process as possible as they follow the liquid from the mash tun in the centre of the building, down through the ‘brewery’, to the stills on the ground floor. 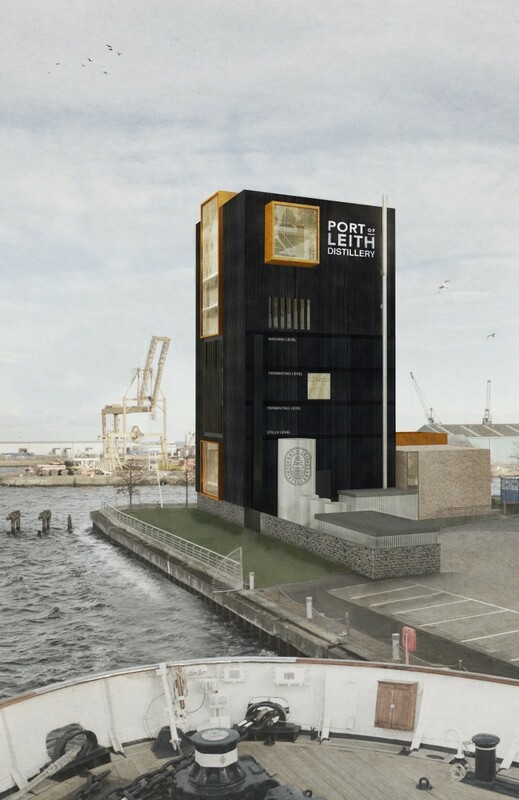 Afterwards, from the rooftop bar and restaurant, they will be able to enjoy a unique view across the Firth of Forth to Fife, overlook the busy port of Leith, and even see across to the new Queensferry Crossing to the west." 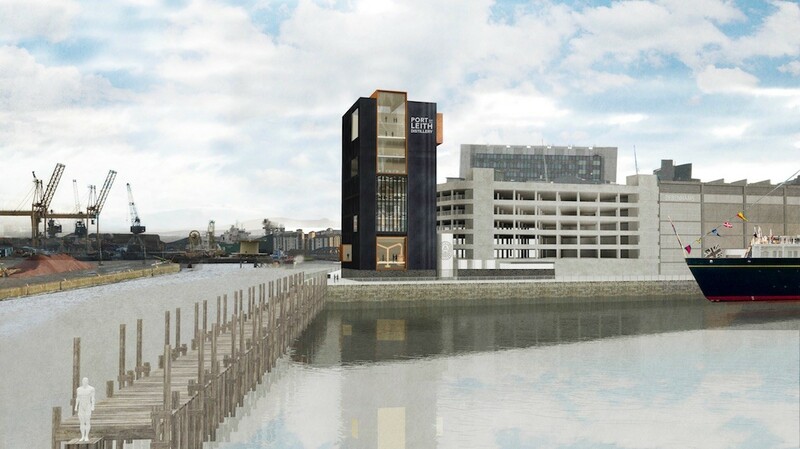 With 28,000sq/ft of floor space the distillery will place equal emphasis on the visitor experience as the distillation process itself, telling he story of the rise and fall (and rise again) of whisky production in the port. 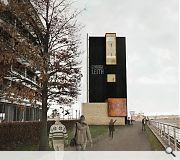 Refreshing bit of design, in an area that could with some. Hope this gets planning.